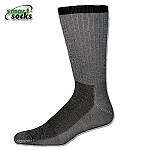 The Smart Hiking Bundle II provides a great combination of Smart Hiking Socks for your year round hiking and outdoor activities. 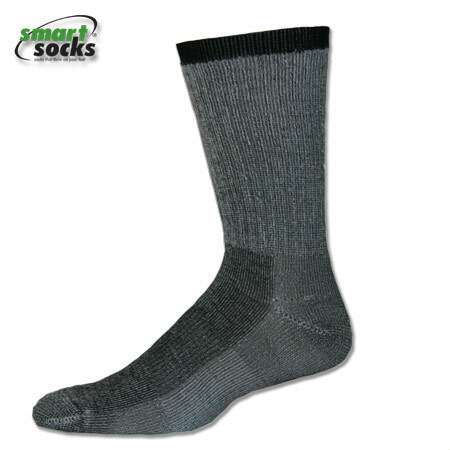 The hiking bundle combines three pairs of our value priced Smart Hiking Socks. 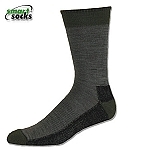 Our unique blends of natural and synthetic wools and fibers keep your feet dry and comfortable throughout even the longest days on the trails. 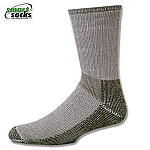 This exclusive product offering from Smart Socks-Socks That Think on Your Feet® is available only online for a limited time! A great stocking stuffer for outdoor lovers everywhere! 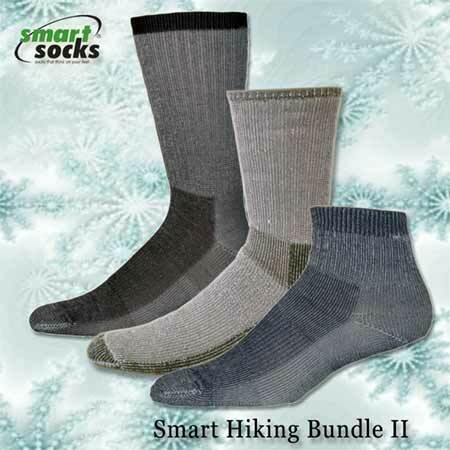 The Smart Hiking Bundle II comes in assorted colors. 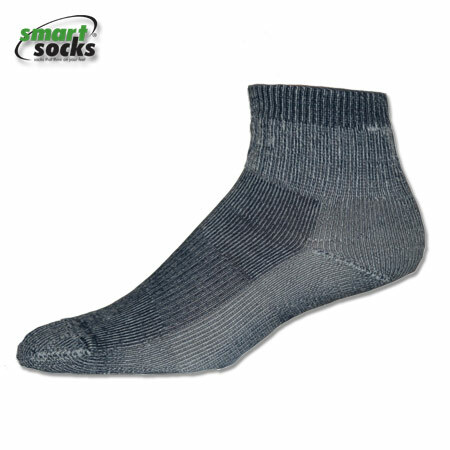 To order, select a Size and click "Add To Cart". 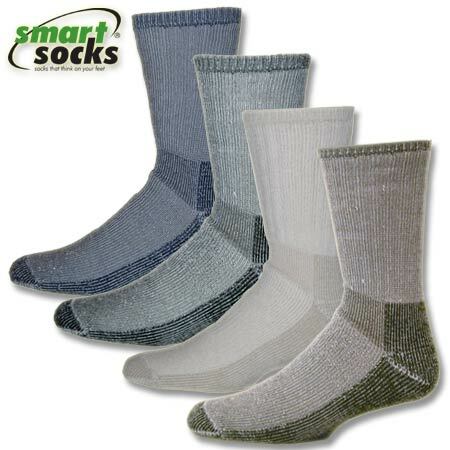 All Smart Socks - Socks That Think on Your Feet® products are made in the USA and guaranteed for one year from the date of purchase.